The Russian president has returned to musings on whether a civilian version of the modernised Tu-160, a supersonic variable-sweep wing heavy strategic bomber in use by the Russian air force, might be a viable idea. "We need to return to supersonic passenger service right now. We need to think about it," Vladimir Putin said, speaking to residents in Kazan on Tuesday. "A brilliant project has been implemented in Kazan, where what is essentially a brand new version of the Tu-160 was created. Not just the plane, but its weapons systems were improved. It runs like clockwork. Why not create a supersonic passenger aircraft?" Putin asked. What Were Russian Tu-160s Doing During Their Visit to Venezuela? This was the second time the Russian president has publicly mulled the idea of a civilian variant of the Tu-160, a heavy strategic bomber design created by the Tupolev Design Bureau during the Soviet period and heavily modernised before production was resumed in 2017. Sputnik previously reported on the possible logic behind the Russian president's thinking, pointing to several other successful instances of military aircraft being converted to civilian airliners, but emphasizing the need for further market research. Last September, Tupolev deputy director general for design and R&D Valery Solozobov told Sputnik that the company had reached the final stages of predesign work on a new supersonic civilian airliner design. The business-class jet is expected to have seating capacity for about 30 passengers, a takeoff mass of 70 tons, and a flight speed ranging from Mach 1.4 to Mach 1.8 (for comparison, the Soviet Tu-144 and the British-French Concorde airliners had cruising speeds of about Mach 1.6 and Mach 2, respectively). 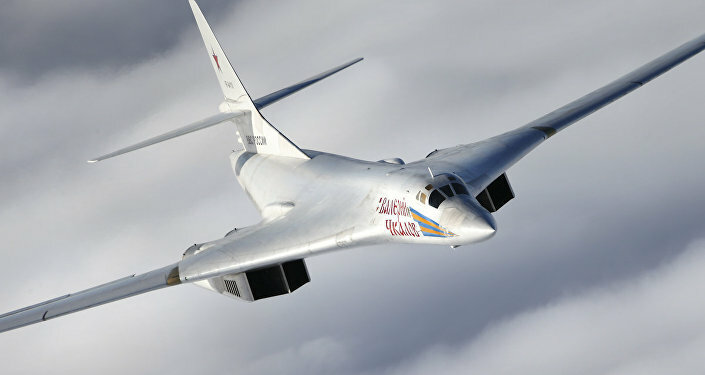 The military's Tu-160 has a maximum speed of Mach 2.05, and a cruising speed of Mach 0.9. For now, the Tu-144, developed in the late 1960s and introduced in the late 1970s, remains the Soviet Union and Russia's first and only supersonic passenger airliner. A fatal crash in 1978 resulted in the plane being permanently grounded for passenger use, but the Tu-144 remained in use as a cargo plane into the 1980s, was used by the Soviet space program to train the pilots of the Buran shuttle, and by NASA for pilot training and supersonic research in the late 1990s. The Russian city of Kazan is home to the Kazan Aircraft Production Association, a major Russian aircraft manufacturer which has built over 18,000 aircraft during its history and was responsible for the construction of the upgraded Tu-160.